Check out these Holiday Cleaning Tips: Tips to make your home Merry and Bright + enter to win a $75 Amazon Gift Card Giveaway. This is a Sponsored post on behalf of TriNova. However, all opinions are 100% mine. It’s the Holiday season which means we’re all running around trying to get every single piece of activity, shopping and baking done. However, between all the chaos and merriment there’s something we can’t neglect or it will go downhill quickly, our house! Because of all we’re doing it’s impossible to stay on top of every little thing, but what are you to do when the unexpected guest drops by to bring you a box of cookies or some Holiday Spirits? 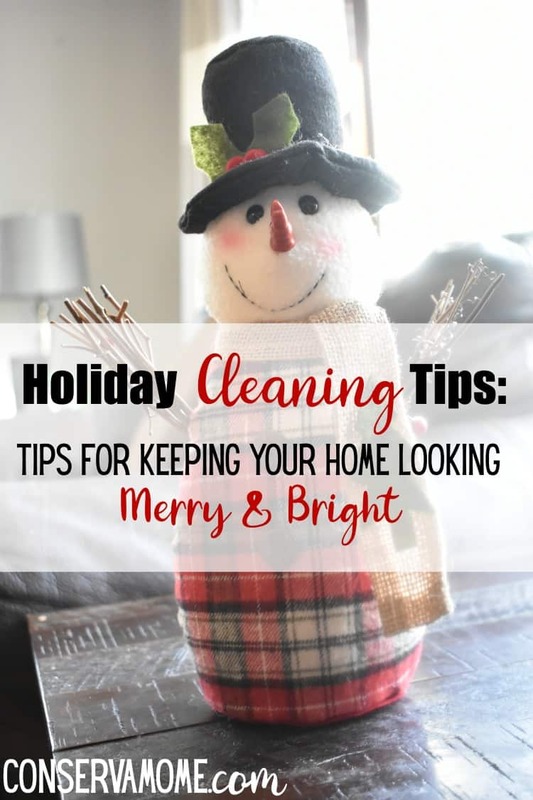 Stay on top of it all with a few tips to help keep your home looking Merry & Bright! 1.Simplify your cleaners: We may all want to have various cleaners around but sometimes having just one really good one will help get all the rooms done quickly and effortlessly. That’s why an all purpose cleaner is always a must when trying to stay on top of cleaning in your home. One good one is the TriNova Multi Surface cleaner. Finally an all-natural all-purpose cleaner that actually works & it’s safe! Best of all it’s tough on grease and grime. You can carry this puppy everywhere because it will work on most surface such as glass, tile, floors, countertops and more. Most important it smells divine! Made with White Tea & Thyme giving it and your home a heavenly scent. 2. Make sure your pet doesn’t embarrass you: They say you can’t smell your pets as others can. So when your pet has an accident it’s important to stay on top of it. Some pet cleaners can be harsh and hurt your fabrics. That’s why TriNova’s All Natural Pet Stain and odor remover are the Cat’s Meow.T his safe-to-use spray eliminates messes left by urine, feces, vomit and saliva left on any surface that can be dampened without harm. Upon contact with the problem area, enzymatic bacteria immediately break down stains and odors for a clean surface and a neutral smell. So don’t let your pet embarrass you when people visit. Stay on top of the game with this great product. 3. Ask for Help If you’re anything like me chances are you like to get all the cleaning done yourself. However, ask for help. Give your kids each a job to do and make sure they stick to it. If one is in charge of the hallway, another is in charge of the kitchen or their bathroom. 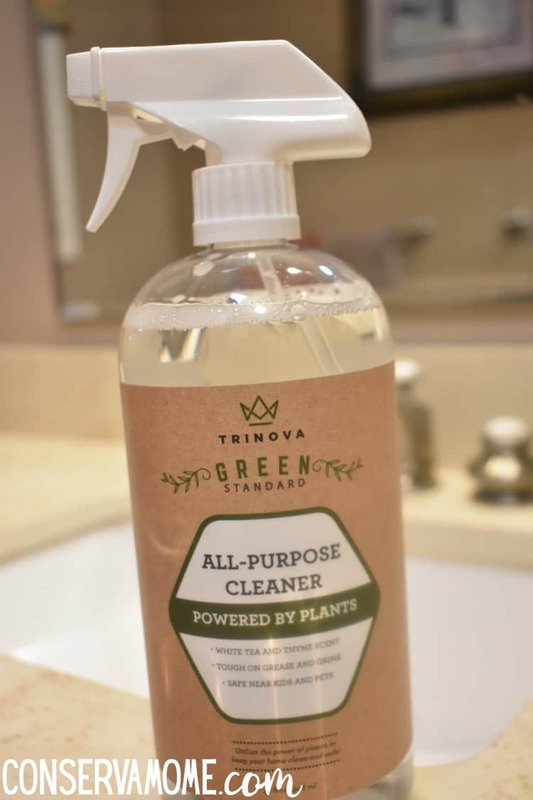 Thanks to the All Natural products from TriNova I have no issues even having the smallest ones help because I know they’re cleaning is powered by plants. Which means no harmful chemicals will come in contact with my kids. 4.Keep your Kitchen clean: Most times people will gather around the kitchen table during the holidays. Chances are they won’t be going into your bedrooms or anywhere else in the house. So making sure your kitchen is always clean or tidy will make life a lot easier on you. Keeping your dishes clean and put away (at least in the dish washer) is a must! I tend to clean dishes as I go so that I don’t have a big pile up at the end of the day. 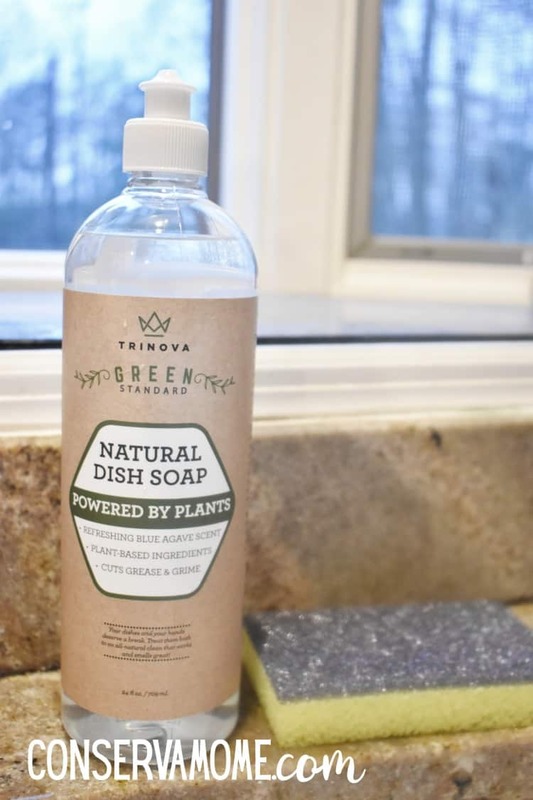 One product I love is the TriNova Dish Soap. Made from natural and plant-based ingredients and best of all enriched with aloe (so your hands are nice and moisturized). This great product includes two large bottles of dish soap, three sponges and a scrubbing brush, perfect for getting you through the holidays! 5.Keep Bathrooms Ready: The second place people will most likely visit is the bathroom. So making sure they’re ready at all times is a must. Nothing is more embarrassing than a dirty bathroom or Showers with hard water stains. That’s why the TriNova Shower door protectant is a must. Instead of being embarrassed by a hard water deposit, or spending hours trying to use a cleaner on shower doors, just apply this protector every few months and water will bead off. TriNova Shower Door Protectant is formulated using cutting edge liquid repelling technology. This coating will provide protection for your glass surfaces. Put it on your window, windshield, RV glass, Mirrors, visor…any glass surface that might get wet. It wouldn’t be helpful to repel soap scum and hard water by replacing it with a hazy film. This product goes on easy and dries clean and crystal clear. 6. Have a Junk spot: It never fails you find one shoe or one sock or a half a toy somewhere odd. But if you’re in a hurry finding where the item goes or who it belongs to isn’t always easy. That’s why having a Junk basket is the perfect way to toss all the stuff that isn’t claimed by an owner but are ruining your clean home. Just toss items there and let the owners come find them when they’re ready. 7.Go Natural: Because you’re going to have people in and out of the house and you don’t know how sensitive some may be to cleaners, having powerful cleaners that are also natural is a must. That’s why I love having an assortment of TriNova Cleaning products on hand. At everyday low prices for some Big cleaning power you’ll fall in love with the selection and price. Best of all you can purchase these products conveniently on Amazon! Ready to get your home Holiday ready and Ring in the new year with a sparkling home powered by plants? Here’s your chance! 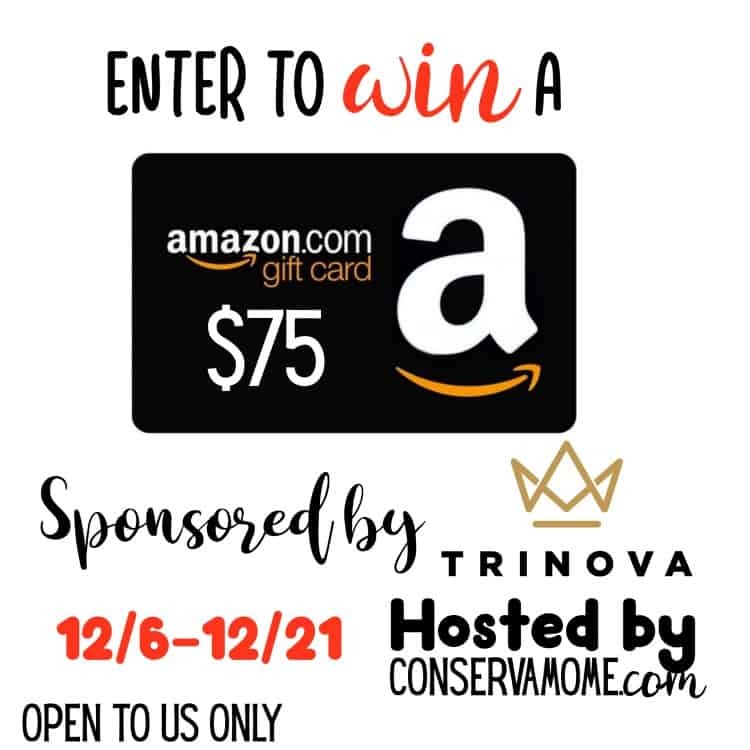 Head below and enter to win a $75 Amazon gift card thanks to the lovely people at TriNova. Just head below and fill out the giveaway form to enter. Giveaway is open to US only and ends on 12/21/18 at 11:59pmEST. Must be 18+ to enter. Good luck! 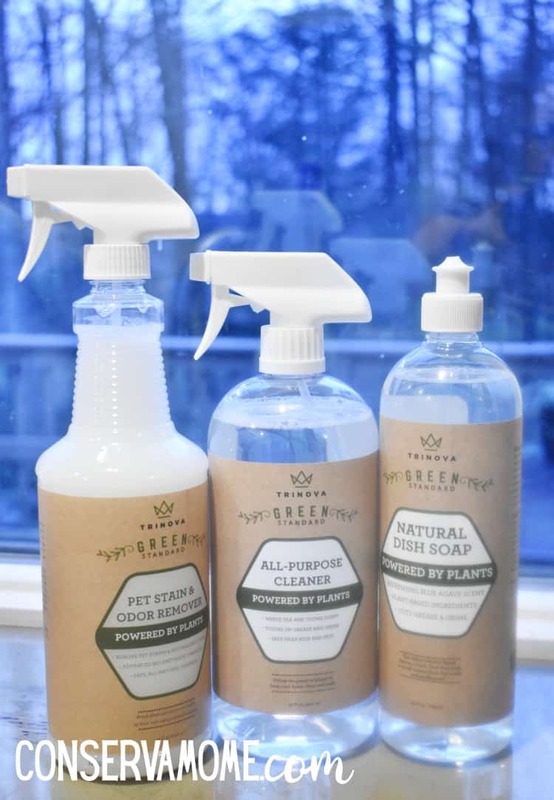 I’d love to try their All Purpose Cleaner – as it’s my most used cleaning product! I would like to try TriNova Shower Door Protectant. I would like to try their natural dish soap! My hands are highly sensitive to most dish soaps…they dry my skin out and make my hands break out in rashes. I’d be curious to see if TriNova’s dish soap would be gentle enough for me! I would like to try the Natural Dish Soap. 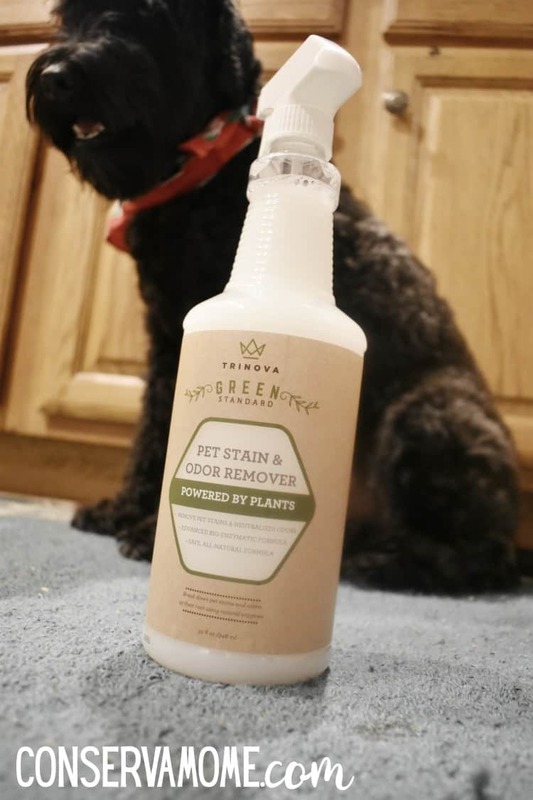 I would love to try the pet odor and stain remover! We have 3 dogs and, although we love them, they can be a pain! The stains that they leave “behind” (haha) can be yucky. Happy Holidays everyone! I would like to try the pet stain and odor remover. I would like to try the all natural dish soap. I’d like to try the pet stain and odor remover. I’d love to win this gift card. Thank you! I would love to try the multi surface cleaner! Living with 5 males, I definitely need it! TriNova Shower Door Protectant sounds amazing! I’d love to try the All-Purpose Cleaner most of all! The all purpose cleaner would be great for our kitchen and bathrooms. I’d like to try the multi-surface cleaner. I would like to try Trinova’s pet stain and odor remover. good products for clean . Too long and doesn’t have a good link back to this page. I’d start with the TriNova Multi Surface cleaner. I’d use it the most. I would actually like to try them all. If I have to pick one I’ll go with the pet stain and odor remover. I want to try the Pet Stains & Odor Remover. 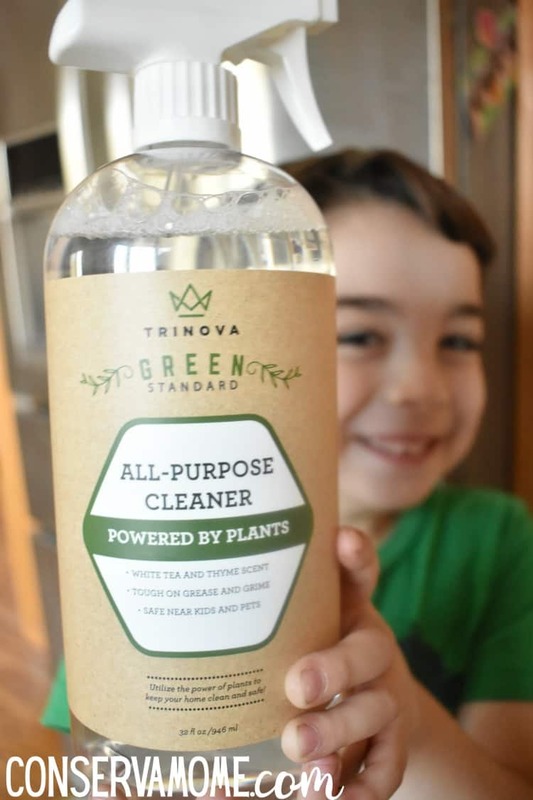 I would like to try the TriNova All Purpose Cleaner. I would love to try the TriNova All Natural Pet Stain and odor remover. I want to try the natural dish soap. These sound like nice products and those are great tips. With 2 cats and a dog I would love to try the TriNova’s All Natural Pet Stain and odor remover. I would love to try the multi-surface cleaner.